Indiana’s #1 Air Duct Cleaner! $49.95 for a whole house air duct cleaning? If it sounds too good to be true; it probably is! Air Duct Cleaning typically takes 3 to 5 hours for the average home with one furnace. Nobody can spend 3 to 5 hours in your home and only charge you $49.95. Most of the $49.95 duct cleaning companies use this low price to get their foot in the door and then up sell you. We have seen their prices go anywhere from $1500 to $5200 on an up sell. When you get a price from Mite-E-Ducts, it will be a flat rate. Our goal is to provide our customers with the best service possible, we designed this web site to provide you with information about the different services we provide. If you have any questions feel free to email or call us at 317-733-1012, or Toll Free at 1-877-8-NO-DIRT. *NOTE: Mite-E-Ducts is NOT a franchise, and we DO NOT USE SUB-CONTRACTORS. Air Ducts Furnaces Dryer Vents New Home Construction/ Remodel Duct Cleaning …and much more, call for more info! Mite-E-Ducts specializes in air duct cleaning. It is NOT a sideline business for us. Our technicians are Air Duct Cleaners only! 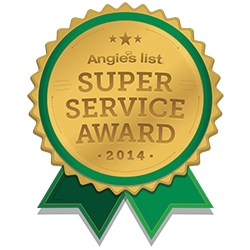 They do not perform HVAC service or installation, Carpet Cleaning, Chimney Cleaning, etc. Mite-E-Ducts uses the best equipment around. Our truck mounted “Power Vac” units have the capability of producing a vacuum of up to 16,000 CFM (Cubic Feet per Minute). Unlike others who use portable units which are only capable of producing between 400 and 4,000 CFM of vacuum. Plus, everything that we remove from the ductwork is contained and filtered outside in our truck mounted “Power Vac” units. Rather than being filtered inside the home as a portable unit would do. Our process reduces chance of anything re-contaminating the ductwork! Our mission at Mite-E-Ducts air duct cleaning is to provide the customer with the best service possible. We take pride in our work and satisfaction is guaranteed!